I’m participating in an ATC swap hosted by Lenna Andrews. The swap constraint is that all work must be with a sunset or ocean scheme. I originally picked sunset, which is representative of my usual palette. 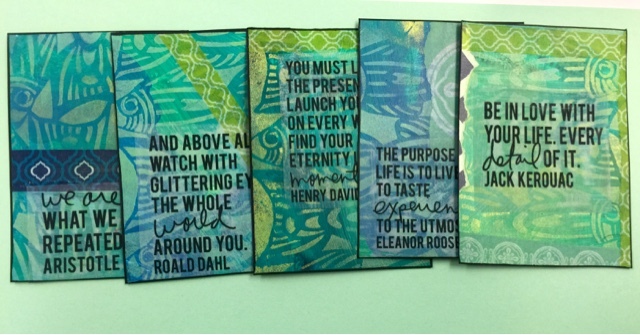 But I decided to make the ATCs two sided, and I did the ocean on the other side. 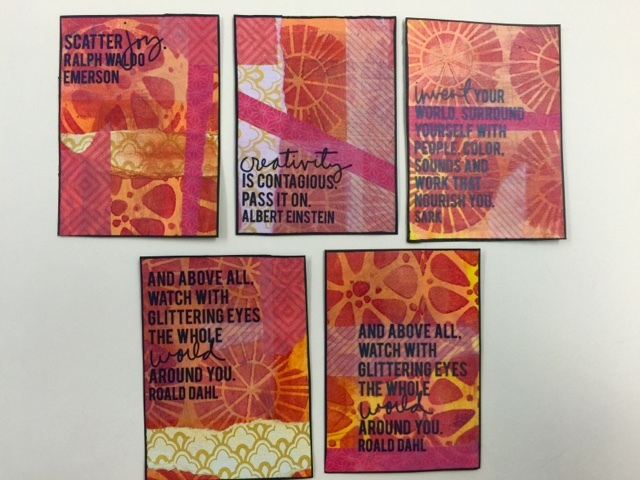 I’m thrilled with the way they all came out! 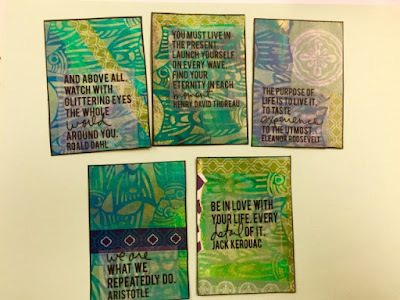 The paper is Strathmore Bristol Smooth Paper , Golden Fluid Acrylic Liquitex BASICS Acrylic Paint , washi tape, and stencils by Julie Fei Fan Blazer/The Crafters Workshop. 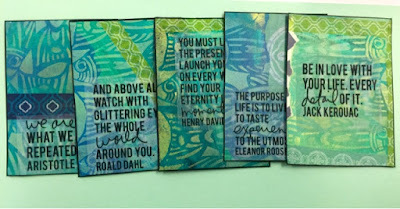 The quotes are originally Project Life cards printed in Avery Clear Shipping Labels and can be found here. Julia, I still look at your cards I received in trade and and say to myself, I like these so much! I just wanted you to know 🙂 your design, colors and choice of words really speaks to me. 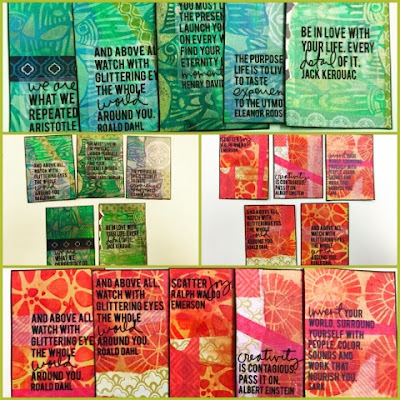 Nice to find your blog via your introduction on ICAD!